Radio frequency identification, or RFID Cards, is a generic term for technologies that use radio waves to automatically identify people or objects. There are several methods of identification, but the most common is to store a serial number that identifies a person, object or other information, on a microchip attached to an antenna. RFID Cards is ideal for service providers wanting to use multi-application smart cards in transport schemes, e-government or identity applications. 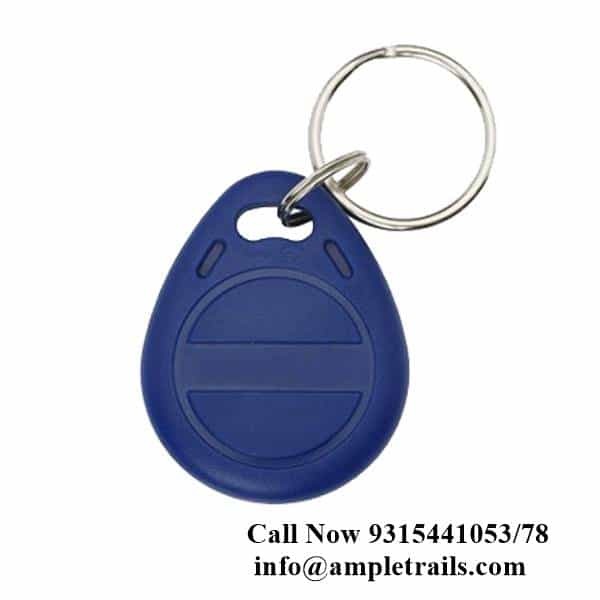 RFID KEY TAGS These RFID reader are designed to work with our RFID Card Devices and are considered passive tags. Each tag has a unique digit ID. Offers universal compatibility with all ZKTeco proximity EM readers. Provides an external number for easy identiﬁcation and control. Support formats up to 26 bits Wiegand format. Meets ISO standard for thickness; user with all direct image or thermal transfer printers. Compatible with EM4100 chip data format. 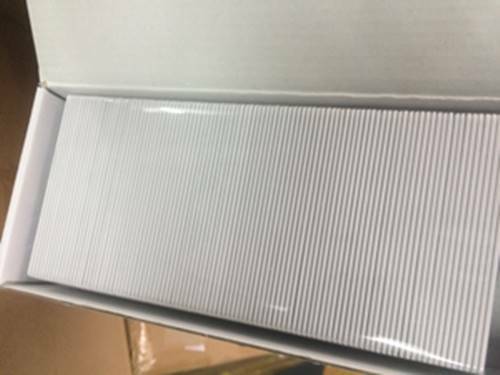 Get RFID cards in bulk. We will provide you best quality cards with smooth edges and milky white color. Our cards are best suitable if you want to do card printing on the cards for id cards. 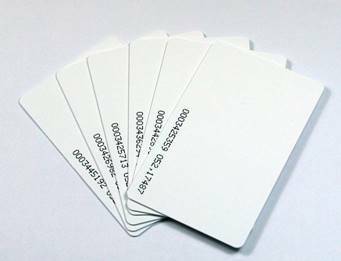 We are the importers of RFID cards in India. Get the cards directly with the best quality. RFID cards can be used for school student attendance, identification can be used in Library. RFID cards can be used in colleges, Universities for various purpose like canteen management system, automatic attendance, library, labs, issue and return of material. RFID cards play a very important role in Educational Institutes. RFID contactless card is a plastic or paper card which is embedded with a microchip and the antenna inside, it is widely applied as access control card, employee ID card, hotel key card, parking card. Dual frequency RFID card is also available on request. Besides, Nexqo provides programming and encoding services which exactly fit customer’s programming or encoding requirements. 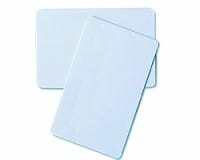 Buy high-quality RFID cards from us online. Now you can pay online to purchase RFID Cards. We have all the options available for RFID cards. Now buy cards online using the following buttons. 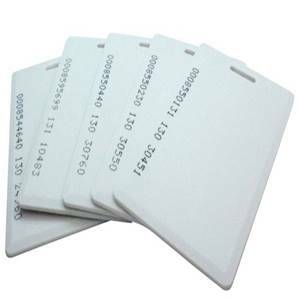 Buy online 500 Thin RFID Cards for Rs.9750 only. 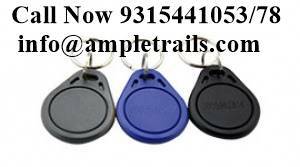 Email us at info@ampletrails.com or call us at 9818390836 for pricing and delivery of RFID Cards. 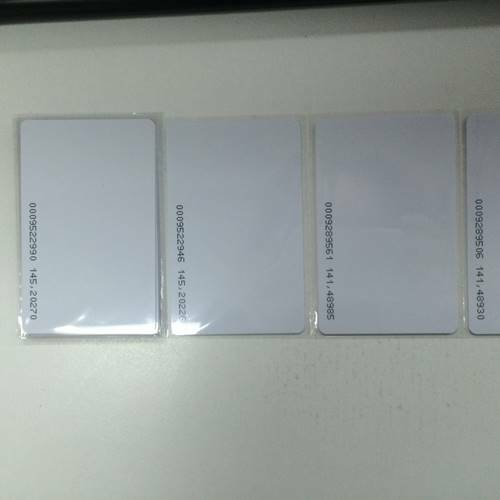 These cards can be used with RFID Card based machines. Also read our blog post. Keywords related to this page.